Tom Dumoulin remains in second place of the Giro d'Italia general classification for another day after finishing safely at the end of the fifth stage. The defending champion was happy to have avoided any loss of time ahead of the important sixth stage, which leads the peloton to the top of the Etna. 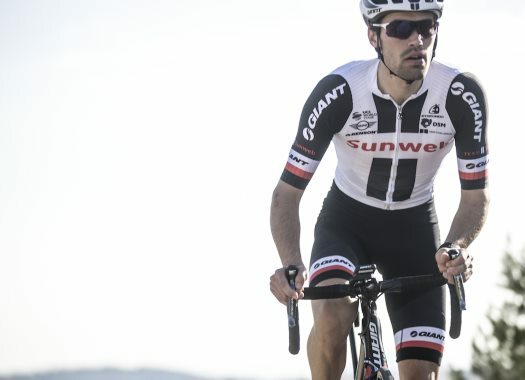 "I survived again without time loss, that’s what is most important," he said on Team Sunweb's website. "These stages we don’t have much to win, but a lot to lose and we haven’t lost anything so that’s good. "Tomorrow will be really hard, it’s more difficult than the other side that we did last year so we will see how it goes. I hope that the peloton calms down as the GC is expected to settle after tomorrow. It was two days of stress here. I didn’t have good legs today but I also didn’t have bad legs, hopefully that means good legs for tomorrow." With five racing days completed, Dumoulin trails race leader Rohan Dennis of BMC by just one second. The Dutchman said on more than one occasion that he is happy to leave the Pink Jersey in someone else's hands for the time being.